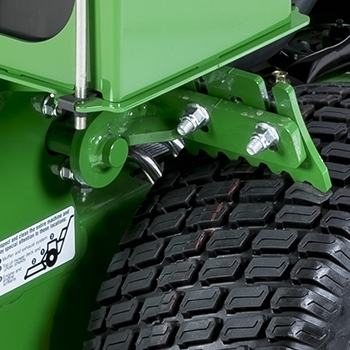 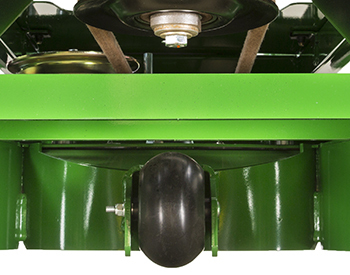 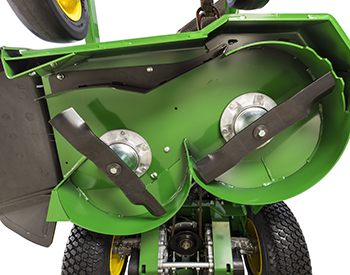 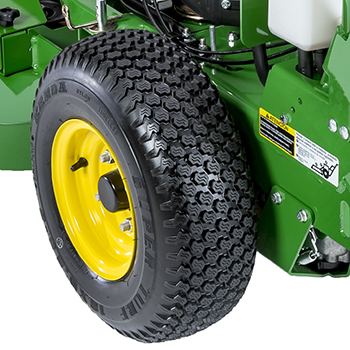 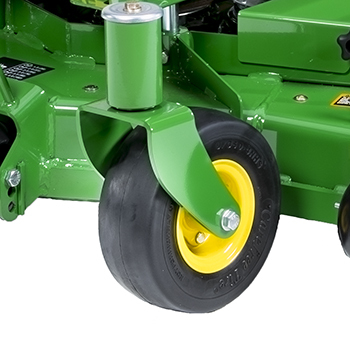 Wide and large drive wheels provide excellent traction with low turf compaction. 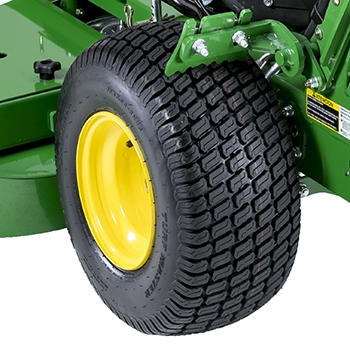 The square shoulder improves hillside performance compared to a round-shouldered tire. 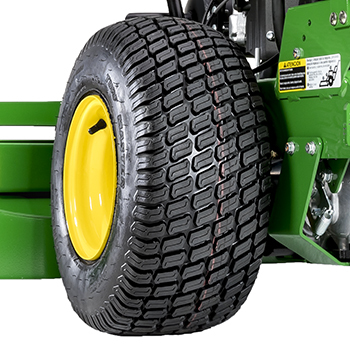 Tire width is matched to the machine and the mower size. 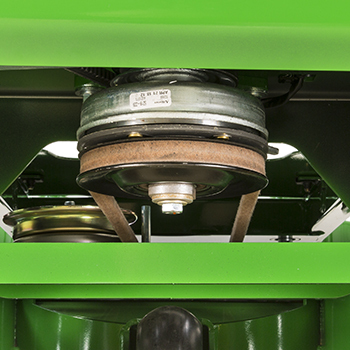 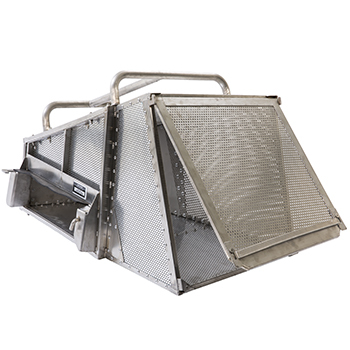 Hardened high lift steel blades extend cutting time and increase durability. 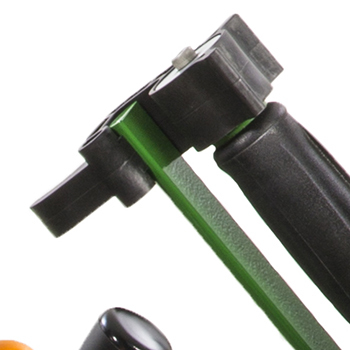 High blade-tip speed of 18,000 fpm (5,486 m/min). 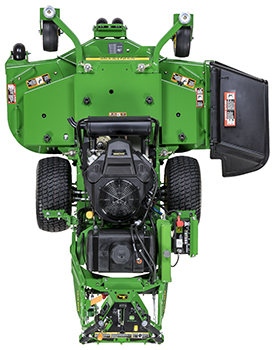 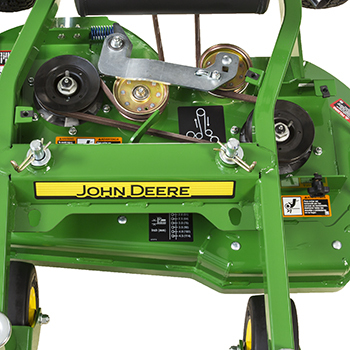 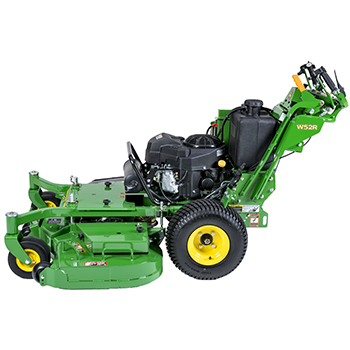 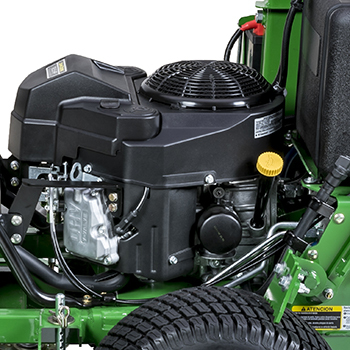 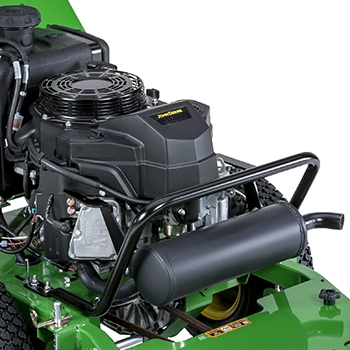 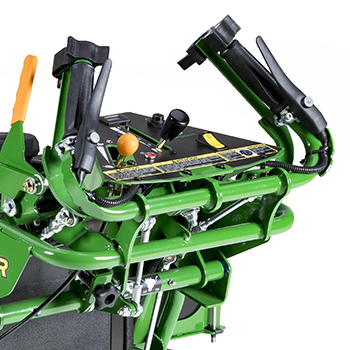 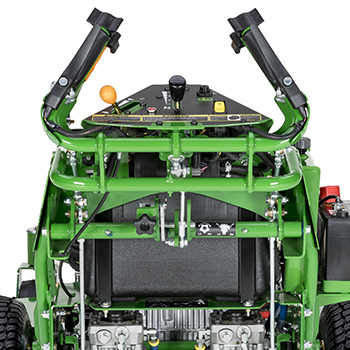 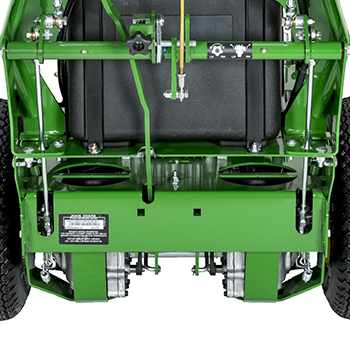 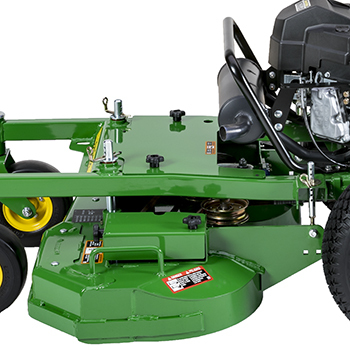 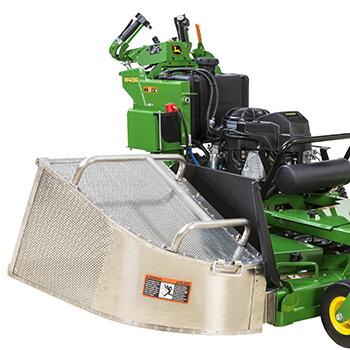 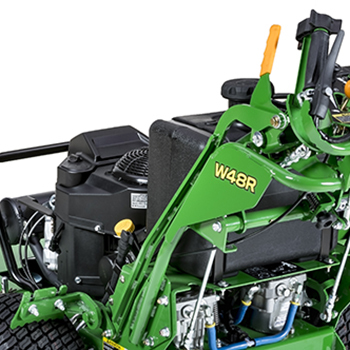 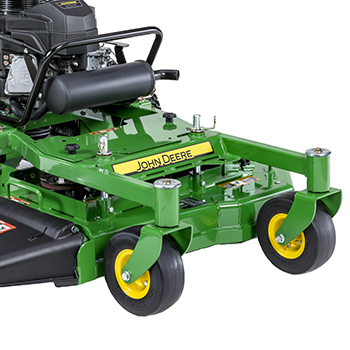 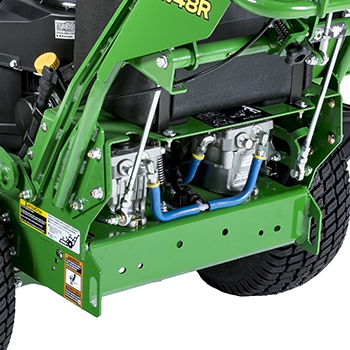 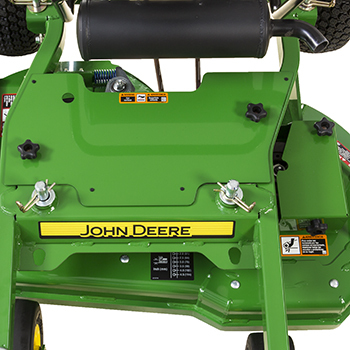 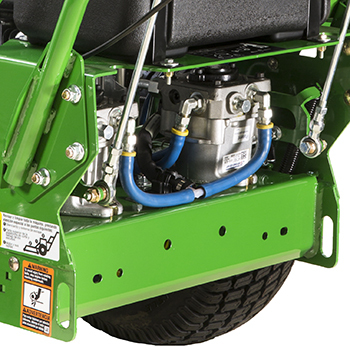 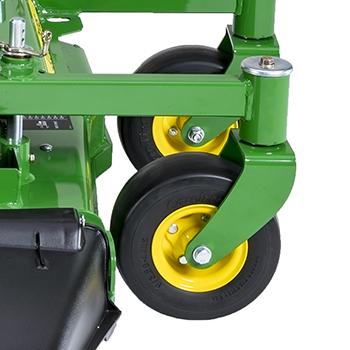 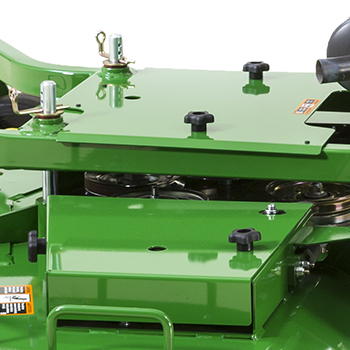 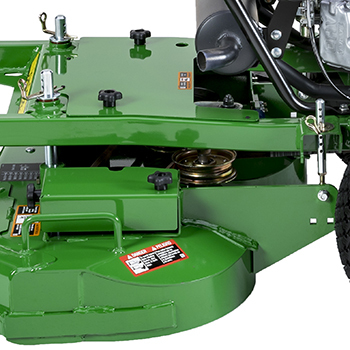 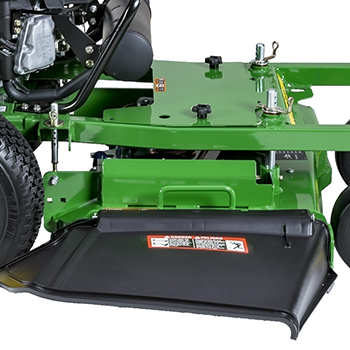 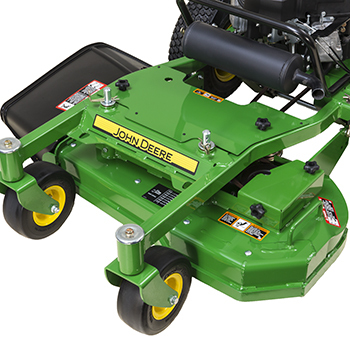 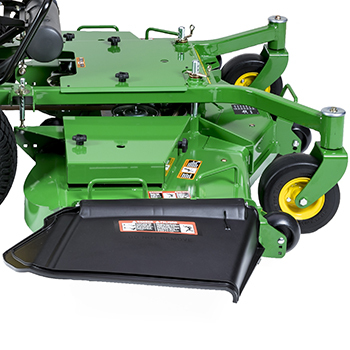 R Series mower decks (except 36-in. 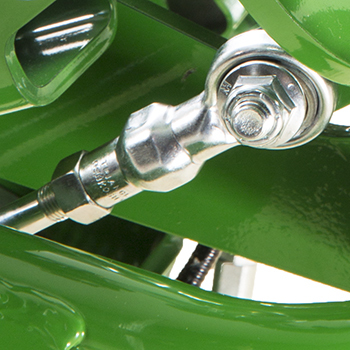 [91-cm]) include a rear wheel for additional anti-scalp and curb climbing protection. 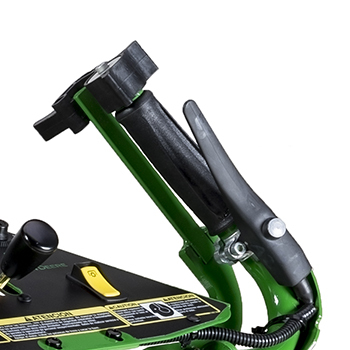 Two large grab handles allow for easy handling. 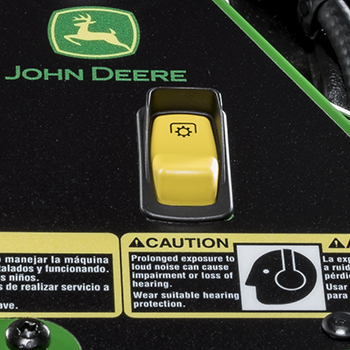 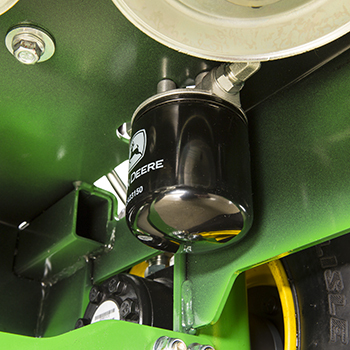 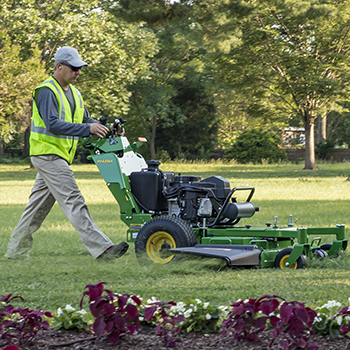 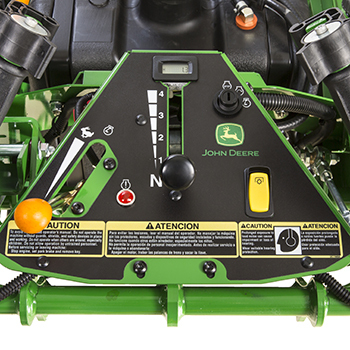 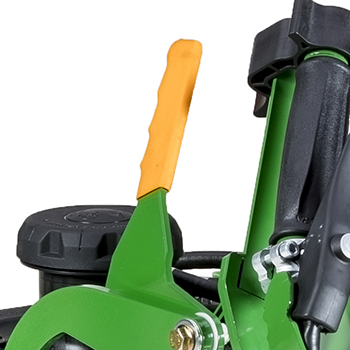 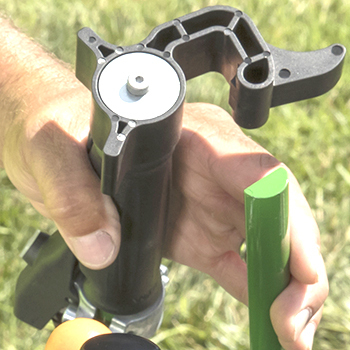 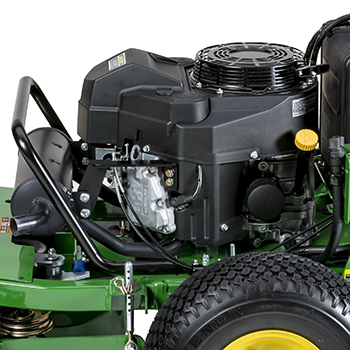 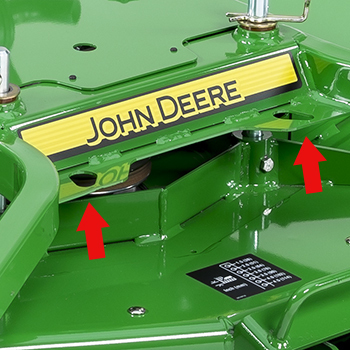 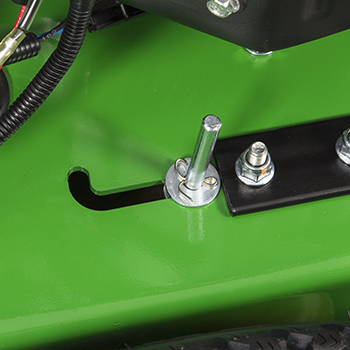 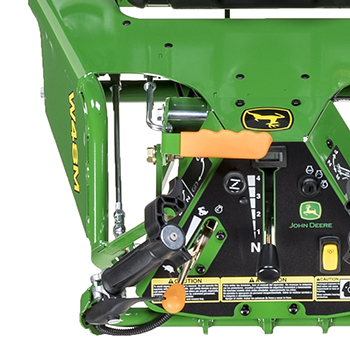 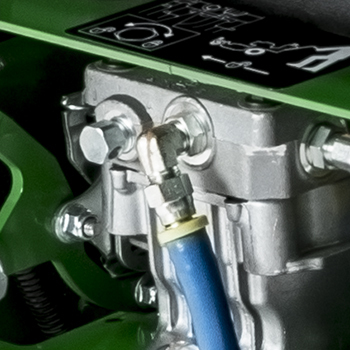 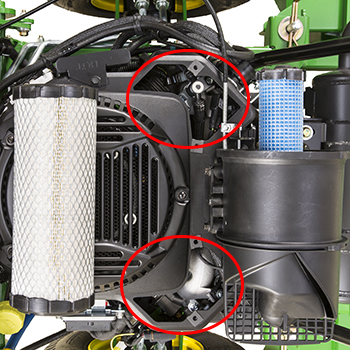 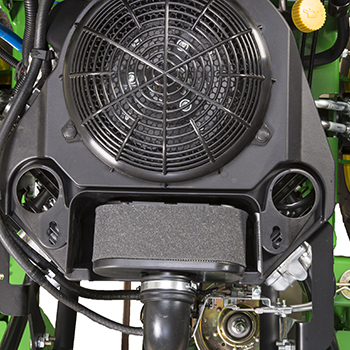 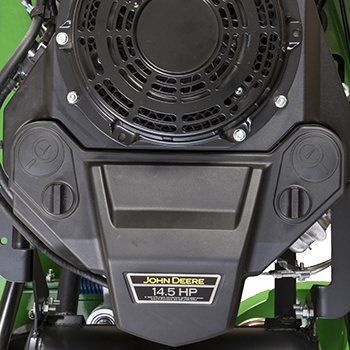 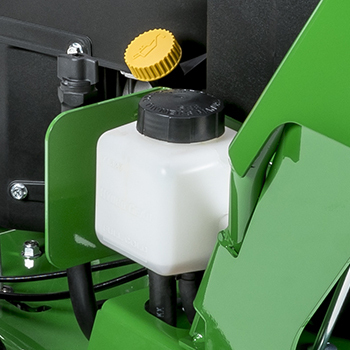 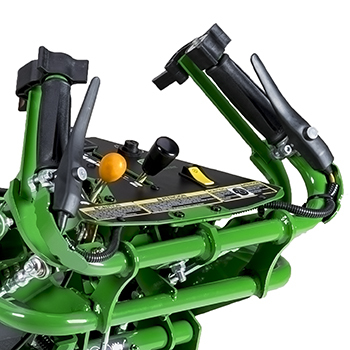 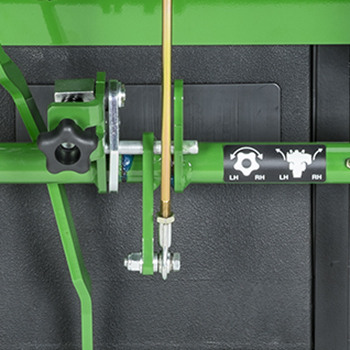 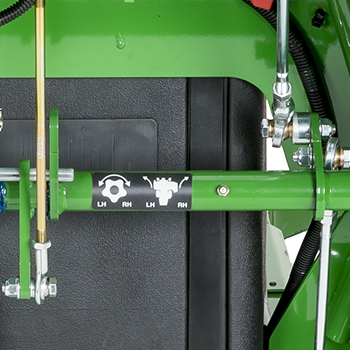 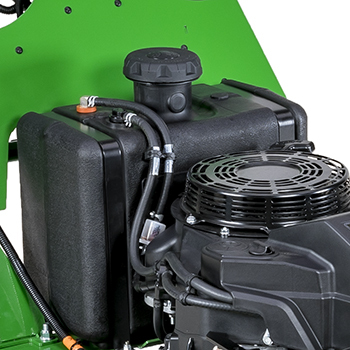 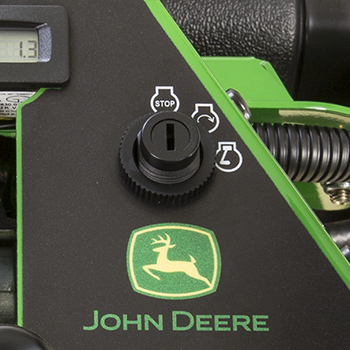 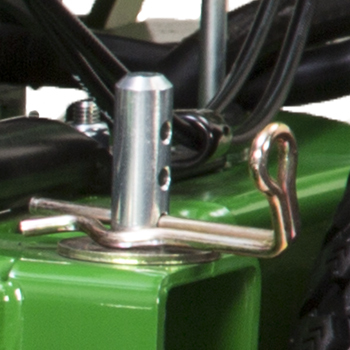 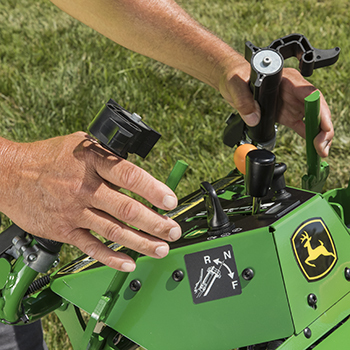 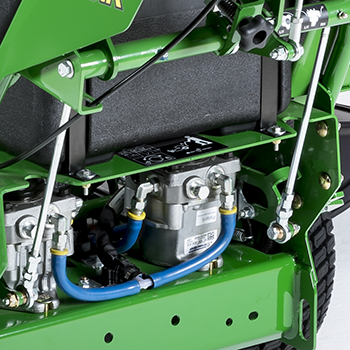 Hand knobs allow removal of both mower shields, no tools required.